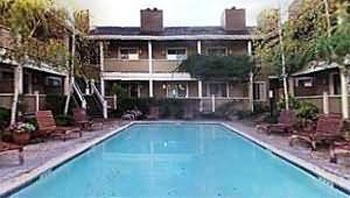 The Sonoma Valley Inn is located in the heart of the Sonoma Valley, within three miles of the area's wineries and 25 miles from the Sonoma County Airport. Local attractions include golfing, approximately five miles away, and Napa, located 25 miles from the property. Our newly renovated Inn is truly an excellent Wine Country destination for your vacation, business trip, or group event. Pamper yourself with a rejuvenating facial or relaxing message at our newest addition - Spa Gratitude. Each guest room has been renovated with new carpet and bedding and many feature a private patio or balcony. Rooms are appointed with a refrigerator, in room Starbucks coffee, hair dryer, iron and ironing board, in room safe, free high-speed Internet access, cable television, pay per view movies, and complimentary continental breakfast is delivered to your room. We are conveniently located one block from the Historic Sonoma Plaza and just minutes from fine dining, boutique shopping, and the wineries of the Sonoma Valley, Carneros, and Napa Valley appellations. Enjoy an afternoon at the races at Infineon Raceway or put yourself in the driver?s seat at The Jim Russell Racing School. Take a side trip to San Francisco, the beautiful, rugged Pacific coast, or visit the giant redwoods - all located within easy driving distance from the hotel. Our highly trained staff is dedicated to making your stay a memorable one.